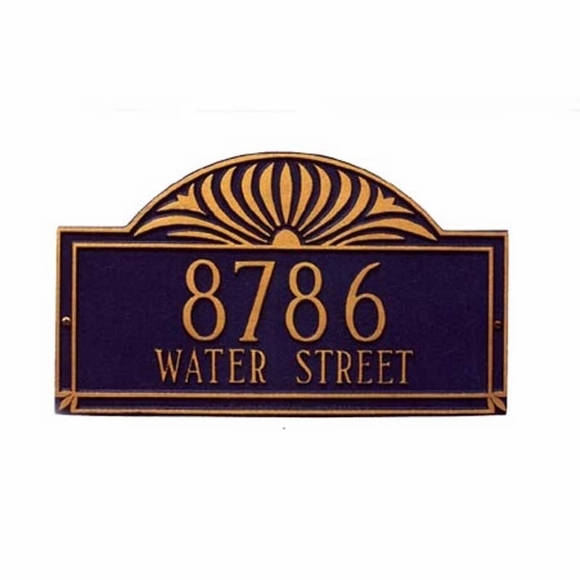 Personalized Sunburst 23.5" x 13.5" Lawn Marker - - estate size address plaque with two lines of text. Line 1 holds up to five (5) 4.5" characters. Line 2 holds up to seventeen (17) 2" characters. Includes two lawn stakes. Made for you in the USA. Delivery time: please allow 2 to 3 weeks for delivery.